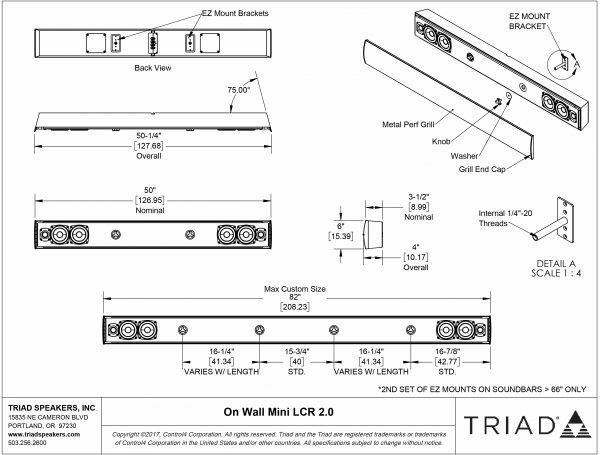 The new OnWall Mini LCR 2.0 features two of our Mini LCRs integrated into an attractive, shallow onwall package. 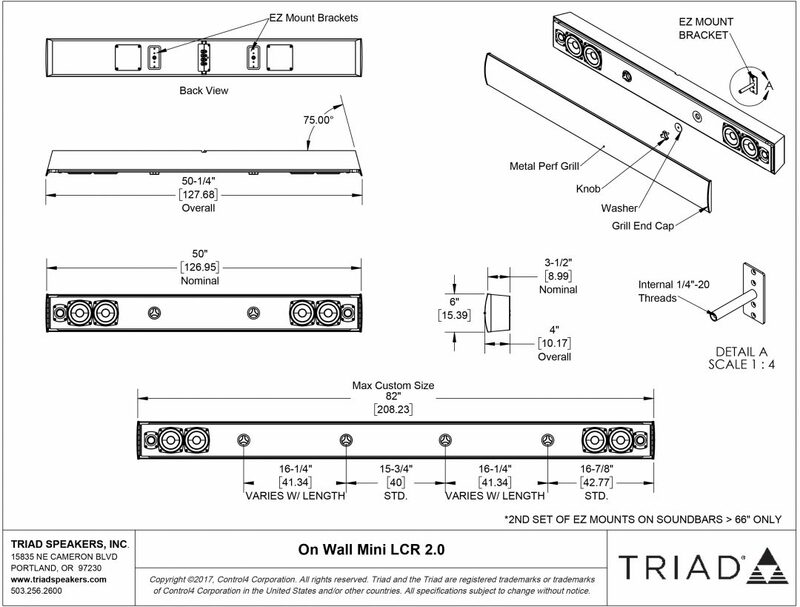 Omitting the center channel from the OnWall Mini LCR 3.0 allows the new 2.0 to work well with televisions with displays 55″ or less. 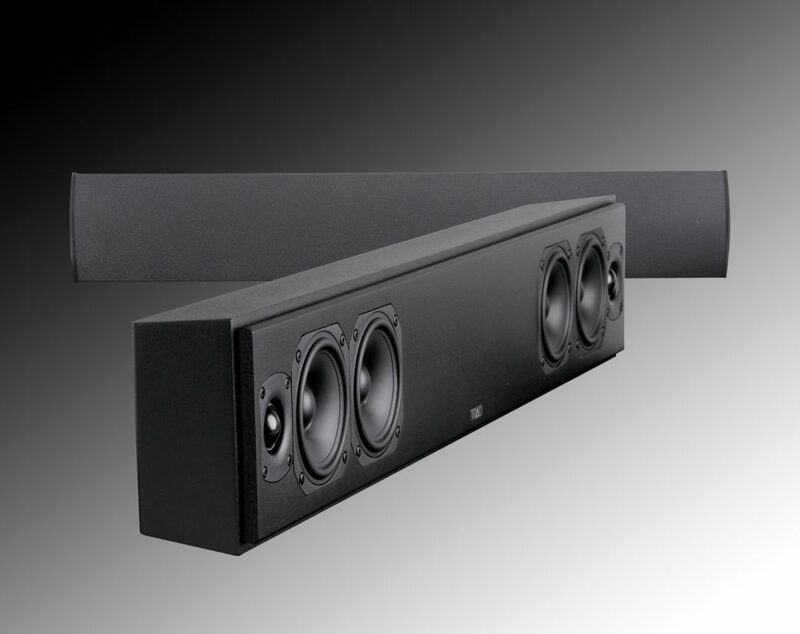 An added bonus is reduced depth at 3-5/8″, for better integration with today’s new shallow onwall televisions. Unlike most onwall “soundbar” speakers, the OnWall Mini LCR 2.0 uses premium drivers in an extensively braced and inert cabinet, for great sound. To further blend into your decor, custom sizing is available at extra cost, as is a custom veneer option, using Triad’s almost unlimited array of custom-matched real wood. Custom paint is also available. 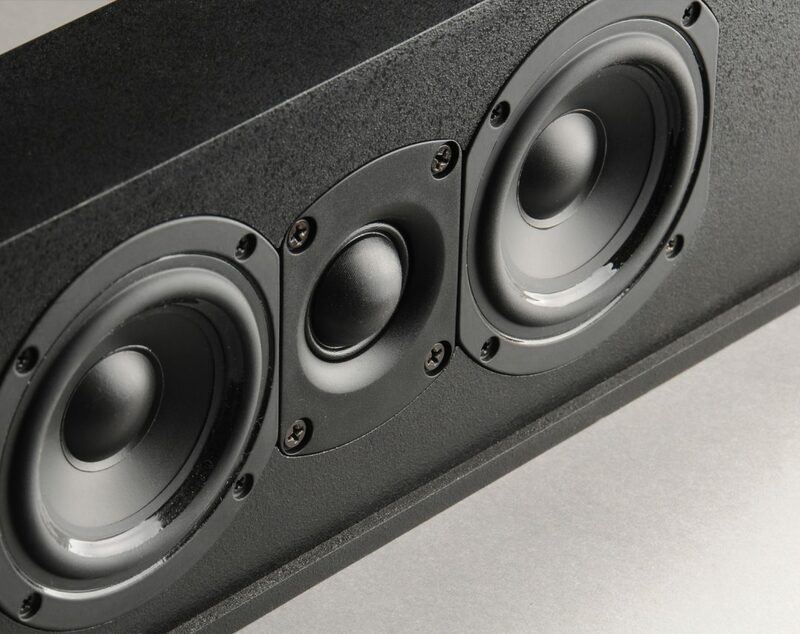 Although the OnWall Mini LCR 2.0 can be used full-range by itself, the addition of a small Triad subwoofer, such as the InWall SlimSub/4, makes a superb-sounding and neatly integrated audio system for your bedroom, den, or office television.